Among the converts in the West to the ancient Orthodox Church are dozens of contemporary philosophers. Some are accomplished, world-renowned, senior scholars. Others are junior scholars in the earliest stages of their careers. What they have in common is a desire to enter deeply into an authentic and loving communion with the Living God, with Gods people, and ultimately with all of Gods creation. 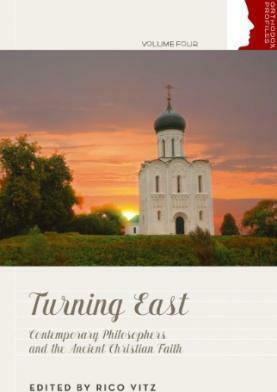 Turning East is a collection of autobiographical essays in which sixteen of these philosophers describe their personal journeys to the Orthodox Church, explain their reasons for becoming Orthodox Christians, and offer a sense of how their conversions have changed their lives. Publisher St Vladimir's Seminary Press,U.S.